A practical guide to Marketing Research in Latin America. Making a kite is fun. First you have to design an attractive shape, you choose ideal colors and apply the adequate engineering. And then, in order to make your kite fly higher than your competitor’s so everybody can see it, you have to define a flight plan and announce it with fanfare. 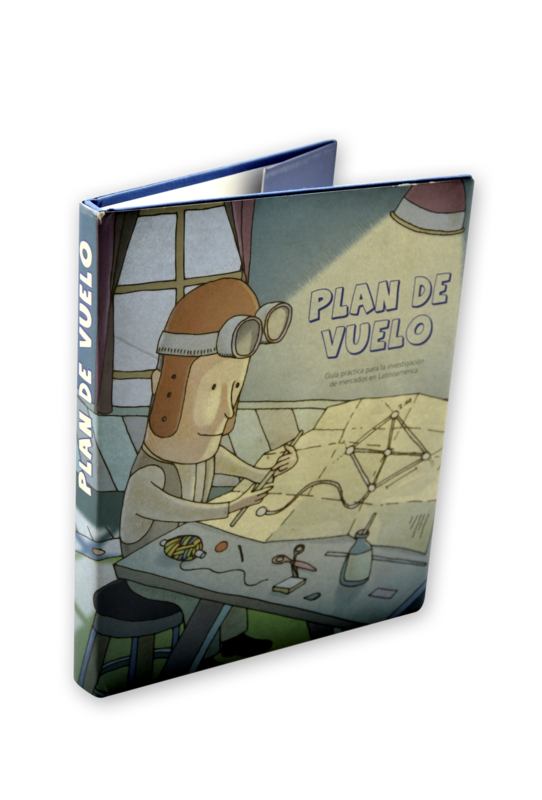 This book is a toolbox and a first-aid kit, that we offer as aid in the creation and development of your own kite. Some of the main trends in marketing research are shared with you so that your idea, concept, brand or product, may glide along with the wind, in free flight, reaching planned heights. Our vision is to see you hold that kite up to flight and enjoy the firm control, with the conviction that you know exactly why you do the things you do, whom you are offering them to, and why your consumers or voters will love it and never let it go.